When you choose a dining table, keep in mind you will likely entertain more than just your immediate family. Your new table should be big enough to fit your family plus whatever guests you may invite to dinner at your place. 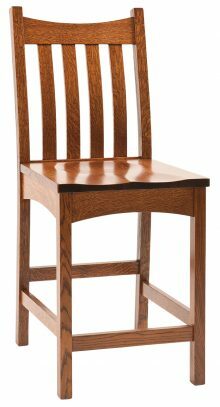 Everyone should have enough room to sit comfortably at the table, which should be sturdy enough to support whatever lineup of dishes you plan to serve. 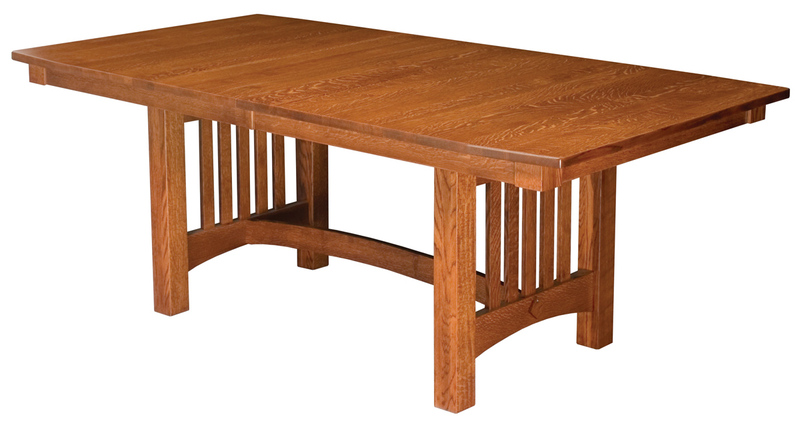 Our 42″ x 66″ Bellingham Table in Oak can fulfill your dining needs. The spacious table features a 1-inch-thick top, mission edge and wing corner that give it personality. You can choose what type of wood to buy the table in, picking from Cherry, Maple and Hickory, among others. You may further customize it by having us stain the table one of more than a dozen shades, though we also offer a natural finish. And if you are still worried about having enough room for your guests, get up to four 12-inch table leaves to increase the size of your dining table. You can feel proud to serve guests at our 42″ x 66″ Bellingham Table in Oak. 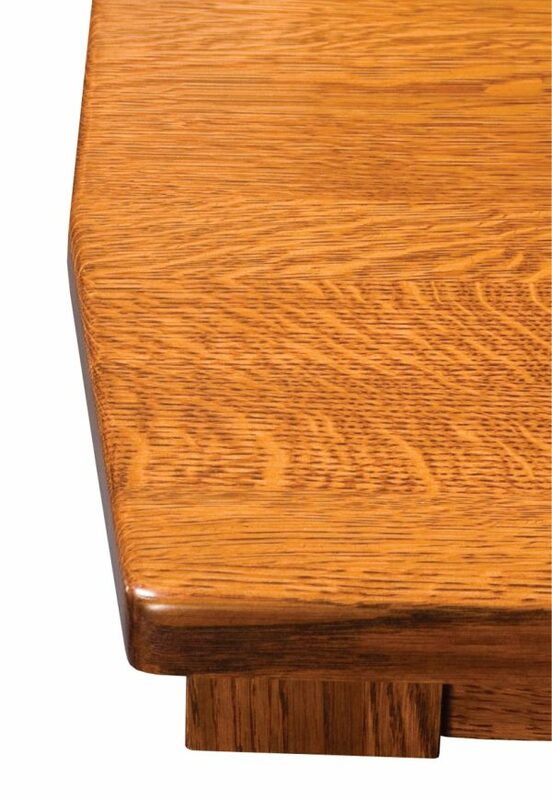 Made from the best materials in the traditional manner handed down from generation to generation by Amish artisans, our table is built to last. We envision our furniture as part of the family. It will stay with you for years to come, and you may even hand it down to your children someday. Our pieces are that strong. Contact AmishOutletStore.com today to learn more about how to customize your table or to hear about our pricing. We offer a discount of up to 33 percent each day, as well as monthly specials posted to our homepage.